Credit: Library and Archives Canada/PA-040139. On this day in 1917 (26 October), the Canadians launch their attack on Passchendaele. The Canadian Corps entered the Battle of Passchendaele in October 1917 after a largely successful spring and summer of victories at Vimy and Hill 70. They were confident, well-trained, and most importantly, rested. Passchendaele had been dragging on since the end of July, and had consumed thousands of British troops in the slog to take the ridge from which the battle took its name. Plagued by bad weather, Haig’s battle had not gone well. By October, it became clear that he would need more men to reinforce the British Fifth Army. The original plan had been for the Canadian Corps to re-attack Lens, the town they had failed to take at the end of the Hill 70 campaign in August; however, Haig met with Currie to explain the need for the Corps at Passchendaele instead. Here, Currie played the position of the Corps within the political structure of the Allies to its fullest advantage. The Corps would not be subordinated to Gough and the Fifth Army, Haig would provide extra artillery, and Currie would plan the attack himself. 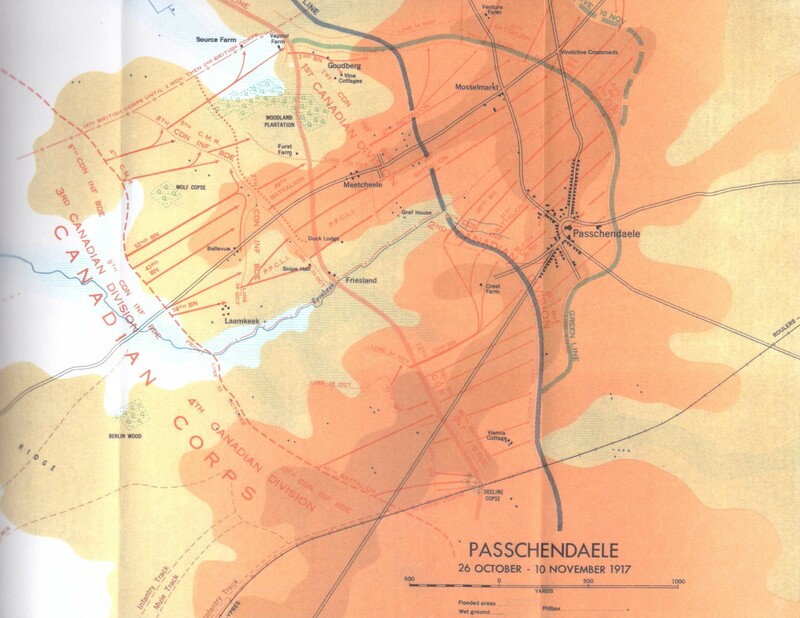 Even so, Currie predicted that the Corps would likely lose around 16 000 much-needed men at Passchendaele. Credit: Nicholson, Canadian Expeditionary Force – 1914-1919, p. 322. The Canadian attack began on 26 October at 5:40 am with a creeping barrage as the 3rd and 4th Divisions began their advance. Communication was problematic and the mud, sometimes waist high, hampered those going forward. It took two days, but the first objectives, including Bellevue Spur were captured by 27 October. The next phase of the four part battle began on 30 October, once again using the 3rd and 4th Divisions. Advances on the 30th were smaller, and the creeping barrage was less successful, particularly on the 3rd Division front. 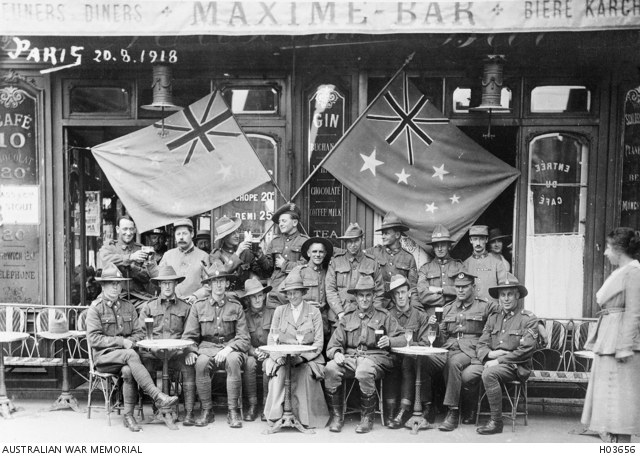 The third and fourth part of the advance took place after the divisions were relieved, and the 1st and 2nd Divisions moved in to begin their work on 6 November. 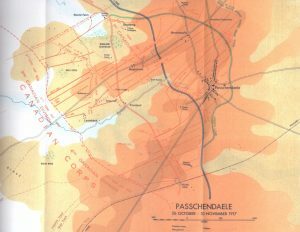 It was easy to get lost on the Passchendaele front, even with a map, and a member of the Canadian Corps wandered into German lines accidentally and revealed the date of the next attack – 6 November. Even with the warning, the Canadian barrage was heavy enough that the divisions could advance relatively safely and by the end of the day the village of Passchendaele had been captured. By 10 November, the last remaining German forces had been pushed from the ridge entirely and the offensive was called off – Haig declared it a victory. Currie’s prediction was correct. Passchendaele cost the Canadian Corps 16 404 casualties. Many of the wounded left on the battlefield drowned in the mud and water before they could be rescued. In total, Passchendaele cost 275 000 British and Dominion lives, compared to 220 000 German casualties. A high price for victory. -Currie understood that artillery and its use were critical to the success of the soldiers on the front lines. Without a working creeping barrage and strong support, the men were trapped in their own lines and easy targets for German machine guns. -As at Vimy, transport in and out of the Passchendaele lines was critical and the Canadian Army Service Corps and Engineers spent the 14 days before the battle laying hundreds of metres of road and duckboard in a desperate bid to create walkable paths in the mud. In many cases, the duckboards saved lives, as wandering off them meant drowning. The artillery transport crews worked at night to move up the guns needed for the battle, and thousands of horses and mules were killed in service. Major Talbot Mercer Papineau, MC, was killed on 30 October, 1917, while serving with the PPCLI. Papineau, a grandson of the famous Patriote, Louis-Joseph Papineau, is most famous for his series of public letters written to his cousin Henri Bourassa that make a case for support of the war effort. Papineau was hit by a shell and his body never found. No less than nine Canadians received the Victoria Cross (VC) for their actions at Passchendaele. On the centennials of their actions, full accounts of the VC recipients will be available by clicking on the hyperlinks in the men’s names. Thomas William Holmes, VC, of Owen Sound, ON, was awarded the Victoria Cross for his lonesome attacks on a series of machine gun nests on 26 October, 1917. Holmes survived the war and died in 1950. His VC was stolen in a home robbery in the 1930s. Christopher O’Kelly, VC, MC, of Winnipeg, MB, rallied two companies and made an advance forward of 1,000 yards, securing the enemy trenches and leading further attacks against concrete pillboxes. Robert Shankland, VC, DCM, of Winnipeg, MB, (born in Ayr, Scotland), cobbled together a rag-tag force of reinforcements to bolster his own platoon and established a small hold on the Bellevue Spur. Shankland’s force held firm, enabling the 52nd (New Ontario) Battalion to come forward and re-establish the line. Pine Street in Winnipeg, Manitoba would later be renamed Valour Road, as the home address of Shankland and two more Victoria Cross recipients from the First World War (Leo Clarke and Frederick William Hall). Cecil Kinross, VC, of Lougheed, AB, (born in Uxbridge, England) charged a machine gun nest alone, with nothing but his rifle, enabling his company to advance 300 yards. Kinross was wounded at Passchendaele, but survived the war. Hugh McKenzie, VC, DCM, of Verdun, PQ (born in Inverness, Scotland), left his machine gun section to take charge of a faltering infantry attack. He placed himself at the head of the frontal assault and charged an enemy pillbox. With McKenzie drawing the attention of the enemy, the flanking parties made quick work of the position, but not before McKenzie was shot and killed. George Mullin, VC, of Moosomin, SK, (born in Portland, Oregon), ambushed and destroyed a sniper’s post before crawling up on top of a concrete pillbox itself. In full view of the other Canadians rushing the post, Mullin used his revolver to eliminate the two German machine gunners, before taking the surrender of the remaining ten defenders. George Pearkes, VC, DSO, MC, CDG, of Victoria, BC (born in Watford, England), led the 5th CMR’s through hard fighting to their objectives and beyond. With only 20 men left, Pearkes established a defensive line from Source Farm to Vapour Farm, and they continued to beat back enemy counter attacks. The advantageous position gained by Pearkes’ band of fighters was appreciated by General Currie, who issued orders “that every effort should be made to hold the line.” (Nicholson, Canadian Expeditionary Force – 1914 – 1919, p. 323). Colin Fraser Barron, VC, of Toronto, ON, (born in Mill of Boyndie, Banffshire, Scotland), attacked a machine gun nest that was holding up his unit, killing the crew, and turning the gun around to use on the enemy. He survived the war and served in the Second World War with the Royal Regiment of Canada. James Robertson, VC, of Picton County, NS, charged a machine gun alone, eliminated the crew in a desperate melee, and then turned the weapon on the retreating enemy. Later in the day he went out to bring in two wounded snipers lying in front of the trenches. He carried in the first man but was killed by an enemy shell upon returning to relative safety with the second. “Paris was a beautiful city being at its best in this, the late summer… The people of Paris seemed to take the Canadians to their hearts and they vied with one another in their efforts to give us a good time on our short stay. Of (wine, women and song) there was certainly no lack… Being young and newly arrived from a section of Hell we fell into their ways without quibble, deciding to “Do As The Romans Do”… to start making the most of the short time given us in that bright beautiful city” (Iriam, In The Trenches, 1914-1918, p. 211). “In the afternoons of the last week in Paris we used to sit at the little round tables under the awnings that were stretched in front of many hotel fronts at the margin of the sidewalk. So long as you ordered some sort of refreshment every quarter hour or so you could remain there undisturbed, except by Gaston who came around with a towel over his arm to take your orders. From this comfortable vantage you could study the life and movement of the boulevards and it was always highly interesting to a stranger” (Iriam, In The Trenches, 1914-1918, p. 211-212). 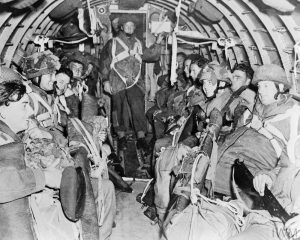 On this day in 1944, the Allies launch Operation Market Garden, dropping thousands of troops behind enemy lines by parachute and glider to seize a number of bridges before the enemy can demolish them, while land forces rush north through the new corridor. 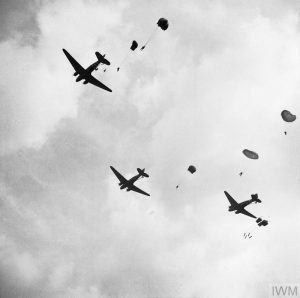 At Arnhem, the furthest drop point behind enemy lines, British troops are expected to fight for just a few days before Allied land forces reach them. Instead, cut-off and surrounded, with meager supplies, the British hold out for 10 days. A few individual Canadians were at Arnhem, including Stanley Maxted, as a war correspondent with the BBC. 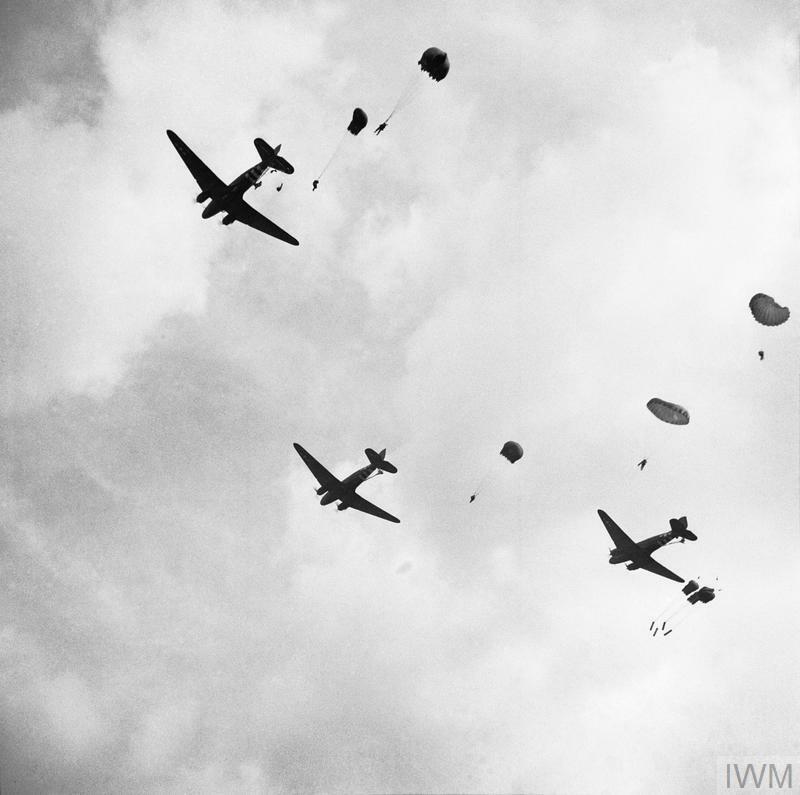 In light of the battle’s disastrous course, Maxted’s surviving recordings are invaluable records of the Battle of Arnhem.